For generations, Australians have enjoyed traditional chips. In 2009, we introduced an exciting new twist – Chips on a Stick! 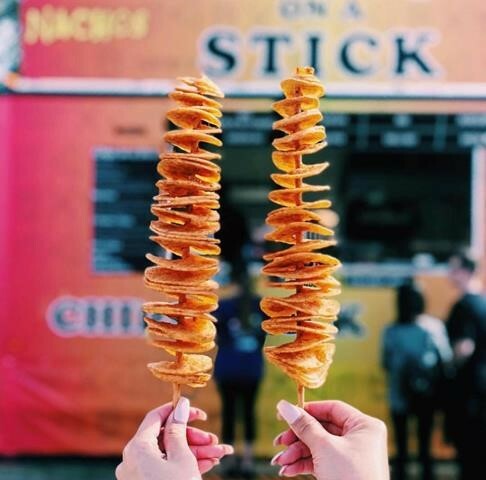 A whole potato spiralled onto a bamboo skewer, dipped in a special batter, fried and served with a choice of 10 mouth watering seasonings. Since its inception and debut at the Easter Show 2011 it has been a crowd puller at festivals and events throughout Australia. It has been consistently ranked as one of the Top 3 foods at the Sydney Royal Easter Show every year! Our brand is renowned across Australia for its quality, superior taste and fantastic service.